Now that the tax filing deadline has come and gone, you might be expecting a refund on your taxes. However, if you are planning to file for bankruptcy any time soon, you need to understand how filing will affect your tax return. In certain situations, consumers might choose to file a different bankruptcy or delay their filing altogether. Because this is a complicated area of law, you are best off consulting with a South Florida bankruptcy lawyer about your situation. In a Chapter 7 bankruptcy, the trustee overseeing your bankruptcy can sell your assets and use the money to pay off unsecured creditors, such as credit card companies. Any unpaid unsecured debts get wiped out when your bankruptcy is discharged. A chapter 7 bankruptcy typically takes only a few months from start to finish and, at the end, you have a fresh financial start. What you need to understand is that a tax refund does qualify as an asset. This means you will need to list it as an asset on your bankruptcy paperwork, and the trustee can then seize it and use it to pay down unsecured debts. However, those planning on filing for Chapter 7 can save their tax return by delaying when they file. You can then spend your tax refund before filing so there is nothing for the trustee to take. For example, if you just filed your taxes in April, you will probably receive your tax refund in May or June. If possible, you can delay filing for bankruptcy until several months have passed—provided that is the best option financially. Remember, however, that the trustee can seize assets, so don’t use the refund to buy a fancy laptop or a giant television since you might end up losing it. Instead, spend the refund on things that the trustee can’t seize, such as medical care, pet care, or on bills. In a chapter 13 bankruptcy, you enter a payment plan for 3-5 years, contributing disposable income to your unsecured creditors. At the end of the payment plan, you can wipe out any unsecured debts remaining. 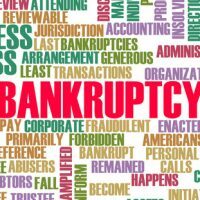 Chapter 13 bankruptcies take much longer than a Chapter 7 bankruptcy but are sometimes a good option for people who have a lot of assets they don’t want to lose. In addition, those who file for chapter 13 bankruptcy will not be required to turn over their tax refund. Savvy consumers consider how a bankruptcy will affect all of their assets before filing. At Nowack & Olson, our team will perform a holistic review of all assets and come up with a game plan that works for you. To schedule a free consultation and get started, please reach out by calling g866-907-2970 or submit an online message.